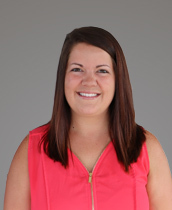 Brittany Songster has been in the customer service and hospitality industry for over 7 years. She joined UDC in 2015 working as a Leasing Support Specialist before moving into the Accounts Payable Specialist role in the Accounting department. In 2017, Brittany was promoted to Assistant Property Manager. In her new role, Brittany has a wide range of responsibilities in assisting the Property Manager with daily tasks in leasing, marketing and maintaining positive resident relationships.